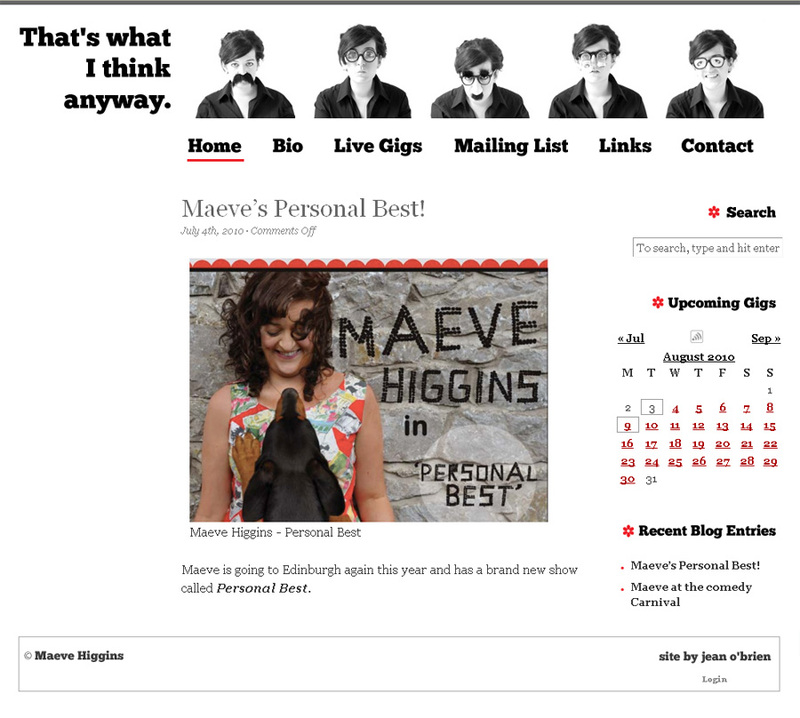 About the Project: A WordPress blog and site for the comedian Maeve Higgins. The brief was to make the site very clean and minimalist, with a few small feminine touches. Maeve is one of my favourite comedians of all time, if you haven’t seen her, go check her out.